VietNamNet Bridge – Fencer Do Thi Anh has become Viet Nam’s 20th athlete to qualify for the Rio Olympics this summer. Do Thi Anh is the fourth fencer of Viet Nam enjoying Olympic Games atmosphere this summer. 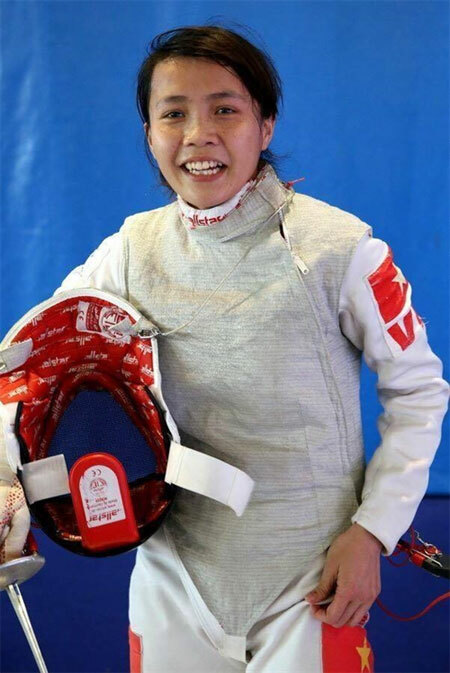 Anh is the fourth fencer to win a slot on the team, joining Nguyen Thanh An (men’s sabre), Nguyen Thi Nhu Hoa (women’s epee) and Nguyen Thi Le Dung (women’s sabre), and will compete in the women’s foil event. News of her qualification has been known for some days but was officially released yesterday (June 13) after receiving confirmation from the International Fencing Federation (FIE). Anh ranked fourth in the recent Olympic qualifying round, Asia/Oceania zonal event in Wuxi, China. In this category, Yuan Ping of New Zealand won a qualifying place by finishing second in the foil discipline. However the former Commonwealth champion, was not qualified for the Games because she previously competed under China jersey. The FIE notified Viet Nam that Anh was pushed up to the third position to take Ping’s place. 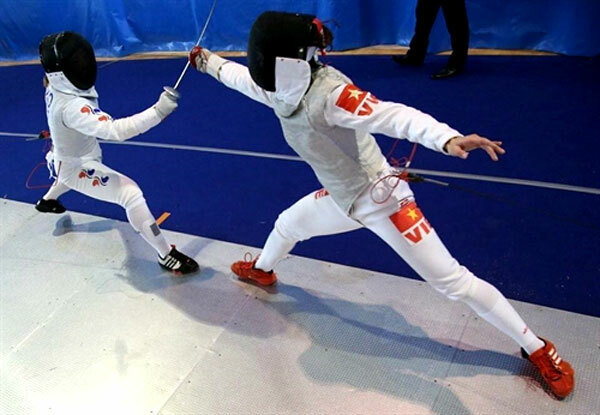 Coach Pham Anh Tuan of the Ha Noi International Fencing Club, which manages and trains Anh, said the athlete had given an outstanding performance and her qualification made it the best-ever season for national fencing. Together with Viet Nam’s weightlifting team, fencing has the most athletes heading for Rio in August. All fencers are members of the Hanoian Club. Viet Nam’s 20 Olympians represent fencing, weightlifting, badminton, wrestling, shooting, gymnastics, swimming, athletics, rowing and judo. Sports officials are waiting for more qualifiers in athletics and swimming. Viet Nam have not won any gold medals in past Olympic Games but have brought home two silvers in taekwondo from Sydney 2000 and one in weightlifting from Beijing 2008.